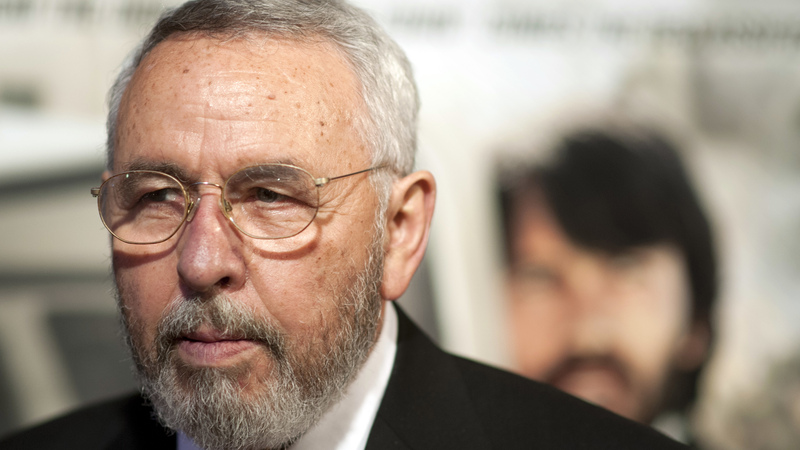 Tony Mendez became a legend inside the CIA with his daring 1980 rescue of six American diplomats who were given shelter by the Canadian Embassy in Tehran after the U.S. Embassy had been stormed by Iranian revolutionaries. But the "Canadian Caper" remained classified for nearly two decades, and Mendez didn't receive full acclaim until the Oscar-winning movie Argo, came out in 2012, with Ben Affleck portraying him. Mendez, who was 78 and had Parkinson's disease, died Saturday at an assisted living facility in Frederick, Md., outside Washington, according to the International Spy Museum, where Mendez was a founding board member. "He was a legendary intelligence officer," said the museum's Executive Director Chris Costa. During his quarter-century at the spy agency, Mendez served in multiple foreign posts, spending much of his time in Asia. He was a specialist in "exfiltration," the art quietly slipping people out of a country where they were endangered. For this reason, he was selected to travel secretly to Iran in January 1980. In the previous year, the U.S.-backed shah of Iran fled the country amid mounting turmoil in the streets, and the cleric Ayatollah Ruhollah Khomeini took power. Iranian revolutionaries then stormed the U.S. Embassy on Nov. 4, 1979, taking all the Americans there hostage. But six additional American diplomats, who were not at the embassy when it was overrun, made their way to the Canadian Embassy, where they were given shelter. Mendez slipped into Iran and met up with the six. Armed with Canadian passports and false identities, the six diplomats posed as a Canadian film crew doing location scouts for a sci-fi movie. They were able to get past Iran security officers at Tehran's Mehrabad International Airport and board a Swissair flight to Zurich on Jan. 28, 1980. While the escape was filled with tension, Hollywood took liberties with the story. Mendez actually carried out the operation with another CIA officer, who does not exist in the film. In real life, that man has lost touch with all his former colleagues, and his whereabouts are unknown, Mendez's wife, Jonna Mendez, told NPR in an interview last month. The movie also shows Iranian authorities chasing the plane down the runway as it is lifting off. In reality, the plane sat on the tarmac for an hour while a mechanical repairs were made. The Iranians never knew who was on the plane. When the flight cleared Iranian air space, Mendez celebrated by ordering a Bloody Mary and toasting the diplomats: "We're home free." When Mendez returned to the U.S., President Carter gave Mendez the Intelligence Star, one of the CIA's highest honors. But it was all done secretly, and the CIA role in the operation was not revealed until 1997. The 52 American hostages at the U.S. Embassy were held for 444 days and not released until January 1981. Mendez's legacy extends well beyond his exploits in Iran. Mendez was gifted at disguise and worked with Hollywood makeup artists and magicians to bring their techniques to the CIA. He entitled his 1999 memoir The Master of Disguise. "Not a lot of people are aware that our disguise program was informed by some of the special effects people in L.A.," Jonna Mendez told NPR. Like her husband, Jonna Mendez also had a long career with the CIA and both served, at different times, as the agency's chief of disguise. "Tony also wanted to know how the magicians did a lot of the things that they do, because he thought that we might like to emulate them," she said. Tony Mendez had Spanish and British ancestry and could blend in almost anywhere, she said. "He could be Pakistani, he could be Mexican, he could be from a lot of different countries," she said. "It was incredible to work with my husband." The couple has written a book about their work in the Soviet Union, Moscow Rules, which is set to be published in May.